Frega describes itself as a “financial technology company” whose aim is to provide “financial services for the banked, under banked and unbanked”. The problem is behind Frega Global’s cliched pitch is your typical cryptocurrency Ponzi scheme. Frega Global provides no information on their website about who owns or runs the business. Further research reveals Paddy Delaney (right) crediting himself as owner of Frega Global on LinkedIn. Delaney’s LinkedIn profile also cites him as owner of RealStew. RealStew was a £25 monthly 2×2 matrix gifting scheme. As RealStew collapsed, Delaney appears to have launched “RealStew shares”. That also flopped and so at some point Delaney launched Frega Global. Like seemingly everyone who’s ever launched an MLM underbelly scheme, Paddy Delaney has reinvented himself through cryptocurrency. Fregared Accounts will accumulate distributed funds. A proprietary alogorithm [sic] is applied to determine the distribution of the funds and in all the World’s currencies. The initial basic service will be for the Account to take receipt of the distributed funds, and a limited ablity [sic] to make inter account transfers. Fregared Account holders, with three-months proof of distributed receipts, will be permitted to trade (Sell/Buy) a portion of their Derivied [sic] Value. The rights to receive these recurring receipts, are traded on the Derivied [sic] Value portal. this will allow a Frega Account holder to raise lump sums of money in exchange for forgoing a portion of their future income. If that sounds like meaningless marketing jargon, it’s because it is. There’s a boatload of smoke and mirrors built around this, but FregaCrypto investment is the core of the business. Oh and the RealStew gifting component of the business seems alive and well, only now it’s called “The Plan”. Registration to access any Application, from a growing Library of Applications, will position the registrant to access a share of distributed revenues from 1320 contributing members in up to 1320 countries. Subscribe to ‘The Plan’ and the registrant doubles the number of contributing Members from 1320 to 2640 numberville tables which will be in 20 countries. You gift £25 GBP in and that payment qualified you to receive payments from subsequently recruited Frega Global affiliates. What the “The Plan” gifting payment also does is increase your FregaCrypto token daily ROI rate. Subscription to The Plan increases the Frega Rating of the Member. An increased Frega Rating increases the derived value of the passive flow. It also increases the capacity to support P2P loans, and once the Frega Rating is consistently over 750 for a full month, this will reduce the Ledger fees by 10% for the following month. What I haven’t been able to ascertain is whether FregaCrypto token ROIs are paid in real money or tokens. For the purpose of legitimacy analysis however, whichever the case the end result is the same. 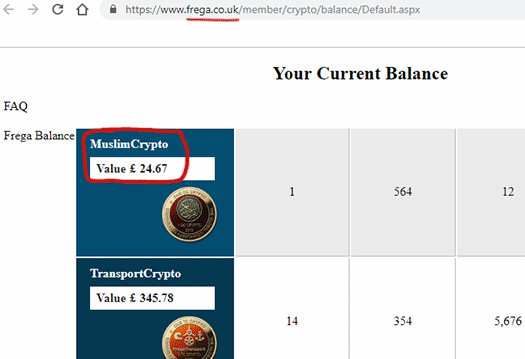 Frega Global operates an internal exchange through which affiliates can sell FregaCrypto tokens at whatever the current set price is. Frega Global set the internal value of FregaCrypto tokens as they see fit. Although there was probably an initial offering to RealStew affiliates, for the most part FregaCrypto units have been offloaded onto investors for £1 GBP each. Anybody who was to buy into our Frega crypto unit is going to be buying in to get a dividend yield. They’re going to get a very big yield. So these guys are buying in at a pound for placement now. We can show from our whitepaper that they could be looking at three to four pounds return on that pound investment over the next twelve months. That was January 2018, roughly eleven months ago. Frega Global don’t publish the internal FregaCrypto unit value so I can’t say for sure, but I’ve yet to see anyone crowing about a 400% ROI. Attached to Frega Global are a bunch of marketing promises, by way of businesses that create the illusion of external ROI revenue generation. The most visible of these is “Something2Trade”, a website on which Frega Global affiliates can either market a business, themselves or offload junk they don’t want. Needless to say whatever revenue Frega Global might skim off people gullible enough to list on Something2Trade, isn’t enough to pay a 400% annual ROI on top of everything else. On the exit-scam side of things (every MLM cryptocurrency company has one), Frega Global are going to bury their investors in a sea of worthless altcoins. Having perfected the altcoin script model (or more likely paid someone else to), Paddy Delaney can seemingly generate altcoins on a whim. The plan seems to be to launch as many shitcoins as possible, hope a few stick. If they don’t, well… sorry for your loss and onto the next one. 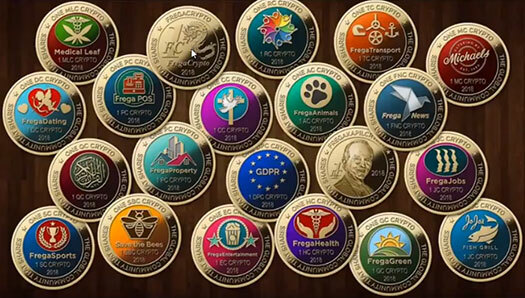 You can see some of the altcoin nonsense Frega Global have launched or are planning to launch over at Frega World. But uh yeah, the gimmick of letting affiliates create their own worthless cryptocurrency coin… something something 400% annual returns. Somewhere in all of this you have FregaCrypto tokens, which looks like it will eventually be FregaCoin. Frega is the main Crypto, everything else, other than Crypto Equity release tokens are verticals. Worthless shitcoins built on their own worthless shitcoins… that’s where we’re at folks. But of course this is all smoke and mirrors. As I stated at the start of this article, Frega Global is just a RealStew reboot. You can still gift in your £25 and collecting gifting payments from other Frega Global affiliates. 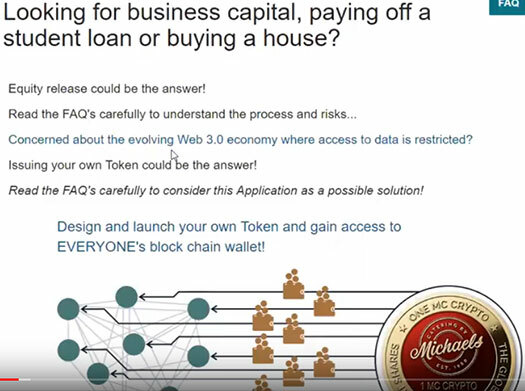 And if you want to get into Ponzi scamming, FregaCrypto tokens are there too. As it stands the only verifiable source of revenue entering Frega Global is new investment. The only people using Frega Global’s sham sites are their affiliates, so any fees charged count as internal revenue too. That money is used to prop up the internal exchange, creating the closed-loop necessary to demonstrate a Ponzi scheme. You invest in FregaCrypto tokens and you withdraw through the company’s internal exchange by offloading your tokens onto other Frega Global affiliates. The money you receive is subsequent investment in FregaCrypto tokens (and all the other shitcoins), on top of the daily ROI (which you also need to withdraw to realize). When affiliate recruitment tanks, FregaCrypto collapses. At that point Paddy Delaney and those he works with do a runner with the money you handed over for FregaCrypto tokens. You and the rest of the gullible Frega Global bagholders are left scrambling to rip each other off through the internal exchange. The internal value plummets towards zero and Delaney washes his hands of any wrong doing (“but you got something of value for your money, it’s not my fault the value is $0!”). 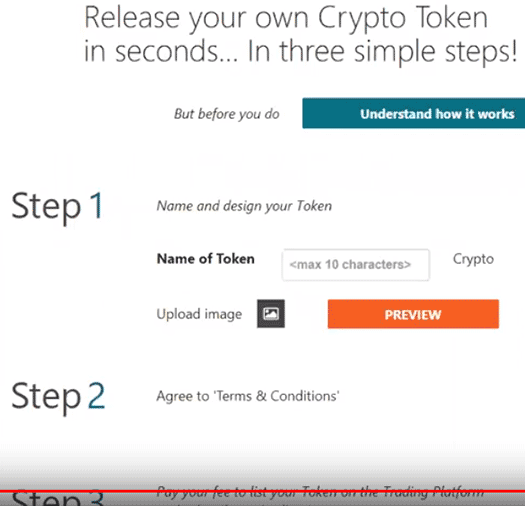 Points for creativity with the push-button DIY shitcoin angle, but otherwise Frega Global is the same old cryptocurrency token Ponzi model. Paddy Delaney was declared bankrupt earlier this year and resigned from Frega UK Ltd. His wife is a sole director… nice one!